Taking time to breath creates a DISTANCING effect (broader perspective) from the story de jour (the saga, crisis, predicament, drama) no matter how convincing or important your mind makes the “dilemma”. It YIELDS (slows down) the typical habitual pattern and gives you INSIGHTFUL, supportive, life affirming GUIDANCE (information). 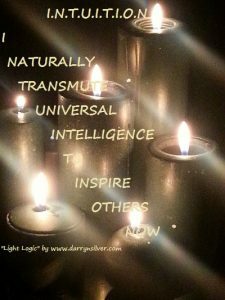 Transformational Breath ® is a powerful teacher! (Sign up for the workshop on June 10, 2018. Holding space for 10 people for ultimate care). 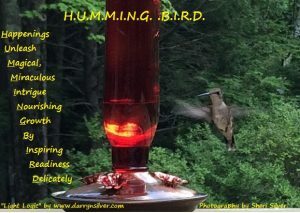 I paused rather quickly and spontaneously, noticed the emotions that these thoughts triggered (a more dense vibration) and began to get curious of their origins. I ceased the internal badgering, felt my breath enter and exit my body and dove into a “felt experience”. I sat still and began to feel (not think) the emotions associated with the above statements: guilt, anxiety, a little overwhelm and ultimately grief. Yes, dear sweet grief. That is what was wanting to be released. After some time remaining slow and steady in the experience, a mental clarity ensued if only for a few seconds. 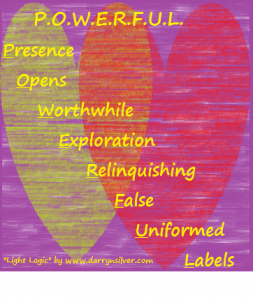 I felt lighter and an experiential (not cognitive) epiphany rushed through my body. I had had the following thought many times in my life prior to this experience but now, this level was a fully “felt perception” (emotions/sensations) in my entire body. There was some integration of this charged emotion and it was having a noticeable impact. We each have the privilege to choose our own way of interpreting a story. Where we sit on the continuum of reaction and responding is paramount for our health: energetically, emotionally, mentally and physically. We all have our own Flight, Fight and Freeze mechanisms and the blessed breath (vehicle) with which to soothe our nervous system. We have grown so accustomed to reacting as if there is a true threat that distractions are the norm. It is our way of life and we are unaware of its impact on our mind, body and spirit! We have been conditioned out of our peace of mind and simple pleasures have taken a back seat. Breath awareness can support each and every one of us in our emotional world. Perspective is everything so gaining distance from whatever “dilemma” (story) we might be experiencing is paramount to holding clear vision. 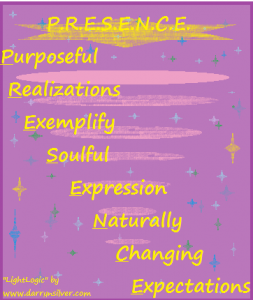 How many of us identify as if we ARE the emotion we are experiencing? Think about that statement for a moment. If you feel guilty about something, do you brand yourself a bad person in that moment? Are your actions motivated to relieve the feelings of guilt? Do you acquiesce out of fear of saying no? Do you believe that others “MAKE YOU” feel a certain way? How many things in your day do you do out of obligation verses from your heartfelt center? What is there about yourself that you keep a secret, makes you cringe and want to hide in shame? Are you willing to look at it and love it for the gifts it is offering you? Do you hold a sense of over- responsibility aka a rescuer to buffer yourself from uncomfortable feelings of powerlessness? If you pass judgment on yourself or others (Appearance, Abilities, Comparison), do you admonish yourself? Do you want others to change so you will feel better? If you experience a level of competition or jealousy in some aspect of your life, are you willing to dive down deep and wonder about its roots or do you sweep it under the rug (suppression) as if it does not exist to uphold a sense of purity, holier than thou? Do we deem some emotions acceptable and others best left under cover? What do you imagine would happen if you simply FELT the guilt? 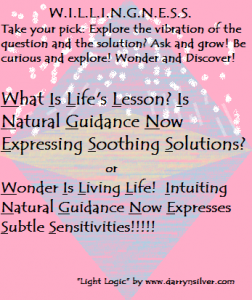 What if you opened to this “thing” that is triggering you and consulted with your inner wisdom for its message? It is pointing you towards wholeness! You are only triggered because it is a disowned aspect of yourself that is deeply couched in your subconscious experience. As you claim yourself and that disowned piece is soothed and loved, the stored potential energy it is harboring is getting ready to be unleashed in a manner you have not yet recognized. available to meet the world. You are in celebration of being an orgasmic living being. What would happen if we gave ourselves time and space to breathe and feel those uncomfortable sensations and emotions? What if we embrace ALL of ourselves? Doesn’t every piece of us deserve to be loved and appreciated for its contribution? Certainly, it is not like I have arrived. I am gaining more and more experience with this and the breath is the key for me. It is my passageway for a smooth, gentle death towards my uncluttering. The breath is my creator of space for the birth that is on my threshold. For me, the practice of intentional breathing releases antiquated safety mechanisms that keep us in the PUSH OF LIFE. It is the system of perpetual striving based on external influences rather internal energetics that we have been clinging to. We make a judgment about someone or ourselves. It could be anything like…. -I don’t do all I can to achieve my goals. -He/She doesn’t do all they can to achieve their goals. -He/She is cramping my style. Level 1 Awareness: Do we even catch that we had the judgmental/critical thought? Level 2 Awareness: If we did notice it, do we rationalize, justify or intellectualize to suppress that icky feeling underneath? Level 3 Awareness: If we did observe it (probably based on how we feel), do we chastise ourselves for judging/criticizing another? Do we punish/ judge/criticize ourselves for judging/criticizing ourselves or another? Level 4 Awareness: Do we stand, sit still and allow the seed, the kernel, the core of that thought to be explored as well as the root emotion (from which is sprung) and accompanying sensations to be felt? There are infinite levels of awareness but these four are a good starting off place to explore within yourself over the next several weeks. We spend our entire lives unconsciously avoiding death. 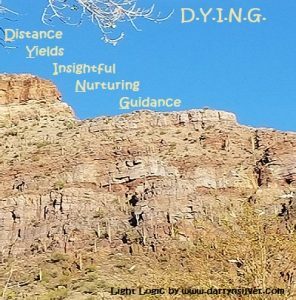 Nevertheless, the art of dying is at every turn, in every crevice and each transition. In part, this is the purpose of shifts: to release our death grip on our attachments or what we define as SAFE so that we might be born again. The process of allowing one thing to fall away, creating space for something new to be brought into creation. So, even the stages of birth are a death. The more we allow ourselves to go with the flow, the easier dying is. It is the true art of dying! What does “SAFE” really FEEL and LOOK like for you? Status quo, keeping change at bay, snuggling up to the known? Make a list of some stories or experiences in your life that you find challenging: People, places and things. Name the uncomfortable emotions: Anger, anxiety, depression, sadness, irritable, uneasy, frustration, impatience, intolerance, pressured, doubt, shame, jealously, envy etc. Name any associated sensations: Heart palpitations, upset stomach, headaches, physical tension (jaw, neck, and shoulders), fatigue, back pain etc. Recognize whatever organ in your body is associated with the emotion such as heart palpitations might match with anxiety, clenched jaw with anger, Headaches with pressure, stomach upset with doubt or anxiety etc. Receive some long inhalations and relaxed exhalations for 5 minutes. Speak to your body part (heart) as if it is not part of you. Ask it for the message it carries for you while affirming in your mind while you breathe “It is safe to feel. Journal about any and all things that surface without censoring or correcting yourself. I’m dying! Can you hear what I’m saying? I’m dying. Literally and figuratively from the day I was born. Dying into death so that I might be enlivened in life. A process of surrender into a remembered rendition of myself BEFORE the implementation of CONTROL (more delicately referred to as insulation, protection, or safety mechanism). When was I not employing the vehicle of CONTROL? And, how did that experience FEEL? What is it like to experience the sensation of complete awareness, wholeness, release, held, trust, supported, undoing, softening, melting, just being, allowing and receivership? So I was turning the dial back on my human experience and found my earliest memory of embracing a protective mechanism was when I was an infant. Actually, I was told this story. I do not have the cognitive recollection. I was told that I held my breath until I turned purple. The matronly, experienced, stern baby nurse told my very young, naïve mother not to be alarmed and that I would breathe when I felt it necessary. This struck me as significant. Obviously, I kept breathing. kind of “insistence” (holding on) to how things are “supposed to” unfold, are quite unusual bedfellows. The breath is our life force and how we breathe is metaphoric for how we live. Maybe by holding my breath I was attempting to covet all of the abundance that could be had. After all, our breath is our life force and oxygen is both abundant and necessary for life sustainment. Maybe as a vibrant, expansive soul recently pressed into a small body, I had trepidations about what would come next and this was my way of ensuring my desires were met in a way that was satisfying and comforting. After all, spirit into form (birth) and form back into spirit (death) are monumental shifts in our states of consciousness. 1. P.R.O.C.E.S.S. i.e. Time takes time . Being with things in their natural time was not exactly what this earthling signed up for so I thought! Get all the oxygen/life force while you can! Ya never know what’s around the corner. Can you relate in some aspect of your life? 2. TRUSTING the inhale and the exhale which is synonymous with the ebb & flow of life. Maybe the current day’s “upset” ( drama/predicament/story) is really a signal ( knock on the door) to return to the early life’s “set up” so excavation of my true nature might surface. Maybe this breathing pattern was the early signs of what was happening all around me in the externalized world. A society that “PUSHES” through life. Maybe today’s soulful stirring is the calling, the adventure, the desire and the passion to bring balance to that dynamic. After all, everything always starts on an individual basis. What was your earliest memory of a safety mechanism and how has that impacted your choices and pathway in your life? If you have no idea, begin by noticing how you breathe. -Are your inhalations longer than your exhalations, vice versa or balanced? -Do you pause between breaths? If so, at the top of the inhale or at the bottom of the exhale? It all has meaning. -Do you hold your breath? If so, what kinds of daily circumstances trigger that safety mechanism? 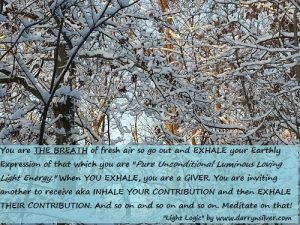 -How aware are you of your breathing patterns? 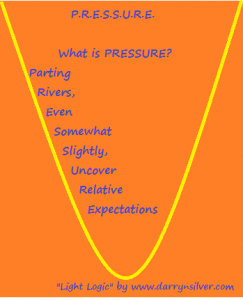 -Do you breathe diaphragmatically or are you mostly in chest or mid-section? -Is it fluid like a wave or forced, choppy, shallow, and abrupt? -Is your inhalation long and glorious? 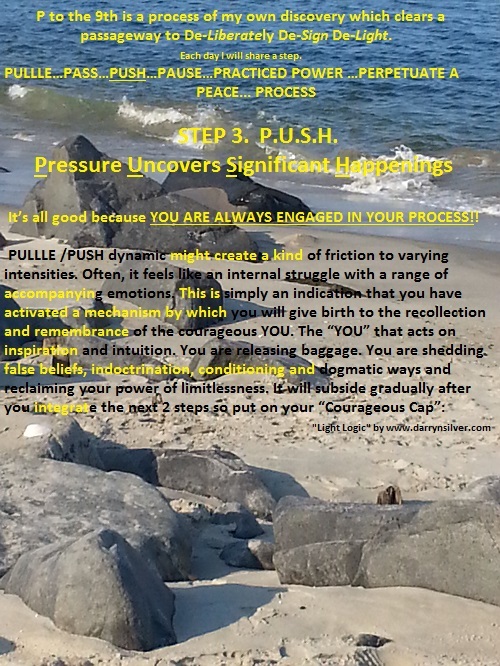 Is your exhalation effortless or pushed? -Is it hard to breathe all together? -How consciously do you breathe on a daily basis in times of stress, excitement, relaxation, when you are around certain people, places or things etc? All of your patterns have significance and there is much to be gained with this insight! Taking time to breath creates a DISTANCING effect (broader perspective) from the story de jour (the saga, crisis, predicament, drama) no matter how important your mind makes the “dilemma”. It YIELDS ( slows down) the typical habitual pattern and gives you INSIGHTFUL, supportive, life affirming GUIDANCE (information). It gives us time to simply “FEEL” and allow the energy to move. If you had an early life circumstance that did not allow you the safety of time and space to fully feel into the experience, that UNFELT EMOTION creates an energetic block and embeds itself into the fibers of your body and psyche. It fortifies that early “safety mechanism” and CONTROL even when it is no longer a relevant tool in your life. As a child, if you had to be on your toes and quite hyper vigilant to maintain a sense of safety in your household, that is both a gift and a shadow. It is a gift because you are probably able to tune into other people’s emotional states quite easily. You are sensitive and it serves you. It is a shadow if you continue to maintain a hyper vigilant pattern of behavior such as going at a fast pace simply out of habit. It produces anxiety or panic or dis-ease. This fast pace can prompt your adrenals to be in over drive and you may find yourself quite exhausted. In this case, the exhaustion/overwhelm/ confusion is a gentle tap on the door. That tap will turn into a big loud knock until our awareness heightens to the point we are able to discern the message. I have witnessed this dynamic along with many other nuances with a number of my breathing clients. Breathing works on a physical, mental, emotional and energetic level. Intentional breathing consciously cultivates the time and space which gives rise to heightened levels of awareness and knowingness of what internal dynamic wants to shift. The conscious breath allows for the death of the safety mechanism (habit) so that embracing an enlivened sense of freedom is a more natural course. -Place one hand on your lower belly and one hand on your heart. -Deeply and slowly inhale a long breath noticing how your lower belly expands as the oxygen enters. -Notice if your chest also expands as you invite the expansive oxygen ( life force) into your system. -The exhalation is simply an effortless relaxation. Avoid pushing out the exhale. Ideally, you want a wave effect. For individuals new to my method, contact me by May 1, 2018 for a complementary breath session so that I might support you in cultivating more awareness through your own breathing practice. 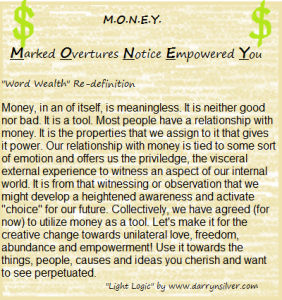 This entry was posted in Blog on March 18, 2018 by darrynsilver. 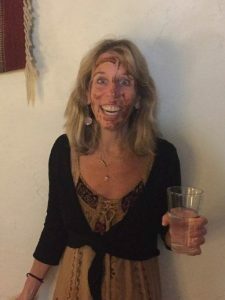 Last month, I celebrated my birthday at a retreat house in Arizona. It wasn’t exactly anything that I planned for my birthday. It was more of an unfolding and a magnificently designed orchestration by the Universe. I really did not have a hand in much of it at all. This is exactly the experience for which I have been reaching. Hey, isn’t that antithetical reasoning? “Reaching for an experience of surrender?” It seems I have been very well conditioned for oxymoronic processes that I have fully indulged in during my life’s journey. Who knew? I drank the “Kool-aide” all these years believing that there is a destination, a finish line, a place to “get to” which is seemingly outside of myself AND supposedly better than what is inside of me. There is an unraveling that is HAPPENING. My soul, inner being, observer (you pick the word) calling me to notice her in full techno color. She is patiently awaiting our renewed intimacy! For reckless abandon of what is known! This is just the place and space to allow myself to simply JUST BE! Permission to be in a state of receptivity! To relax all expectations and take the pressure off! 25 tribal goddesses forming portals beyond this 3 dimensional plane (metaphorically and literally depending on my state of consciousness) pulled me into an expanded reality. It was a deeply FELT experience. Isn’t that what all experiences are meant to be? To experience with all our sensations the fullness of life and our wilding? did with the chocolate icing from my Birthday cake. We are sensual beings floating in a sea of stimulating extravaganzas! Our voices were like chimes of the galaxy! Our body gyrations danced like flickers of a flame. 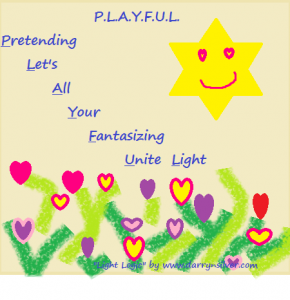 Our mesmerized star gazing, consumption of epicurean delights, laughter, releases, clearings…. oh the breath of life! So much Love. So much Goodness. So much Intensity. 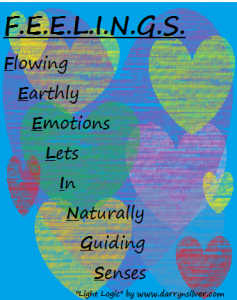 Femininity flowing….teaching me what is in, through and around all of us. The magic, the mysticism that lives and thrives so brilliantly. 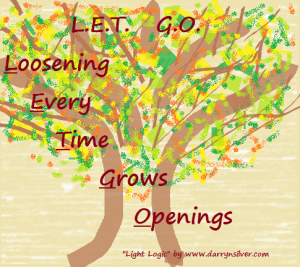 An experience with the art of allowing! All I do is rest, renew and relax! Can I metabolize all of this bliss? Who knew that “taking in” love would require such excavation to create more space for more beauty to enter? Who knew (experientially not cognitively) that it IS our individualized life force, our unique constellation of light, our personal energy which is our signatured beauty flowing through us? Full of color, density, transparency, dimension, velocity, movement, texture and sensations! Who in the world today really KNOWS that our body temples are the conduit for all this beauty and our extraordinary soulful signature is how we move consciousness. All of us! Every single one of us!! My whole system enjoyed an up leveling like a computer getting a brand-new operating system with more power. Bring on the awareness I shout! There is so much here! Time spent in spacious stillness, silence, communing with nature was the invitation. 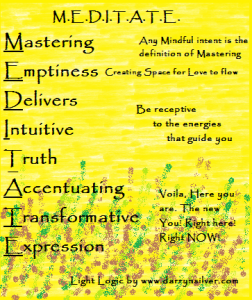 Meditation opened my conduit to be more relational with the plants, trees, earth and all of life. There is beauty in absolutely everything! Even death, destruction, and abuse. Your ability to see and realize the beauty is directly related to how much you are willing to soften and melt. Your process is exquisitely designed and intricately weaved perfectly with your soul’s intent held closely for the greater good. There is no other process that will illuminate and raise your beauty more than the one the Universe has created for YOU! Release any notions of how things are patterned so the unfolding may surface. 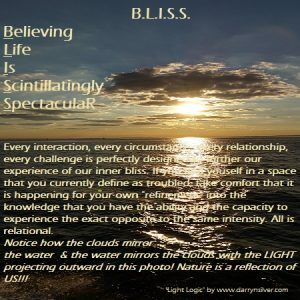 The external world is exactly that….. external and an out picturing of your beliefs. Feel into each experience and notice how it feels in your body, your internal experience, and select your preferences via the sensations and emotions. Although liberation is your natural state, it might take some time to assimilate to this vibrational frequency. Give yourself time to metabolize all of your goodness. Pleasure invites you to be who you are and receive what you desire. There are no apologies in a state of pleasure and bliss. All is well! 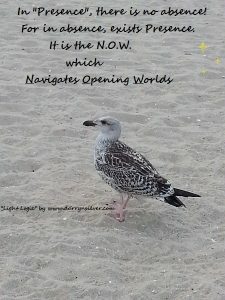 There is no need for MORE MORE MORE when savoring the NOW NOW NOW! In giving yourself CHOICE, you can do anything but you do not HAVE to do anything! You have the potential to be powerful in a new way. The power of LOVE! It’s the action of being witnessed that will release you from the ties that bind. You are each a partnering with the Universe to design the fabric of your future. Sometimes you think you are not doing something unless you are processing pain. There is more happening in the subtlety than you might suppose. Lucky #13 Don’t get too cocky, there is always another layer. What does it feel like in your body to do what you want? Is there an edginess to it? Is there a flow? Is there a veil between you and the flow? How good will you let yourself feel? How good can it get? What will you permit? 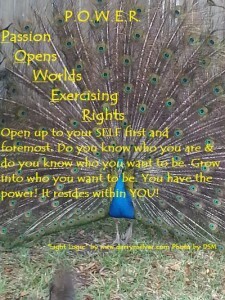 What ways can you allow yourself to BE? Lie down and either have someone to scribe for you or use the recording device on your phone. Have your friend read back only the parts of descriptive emoting or listen to the tape and focus in on the emotional description. Your body tells the truth and will enlighten you to your subconscious beliefs about your life. This entry was posted in Blog on February 28, 2018 by darrynsilver. My SOUL’S INTENTION for my life has not waivered since I have been born into this body temple. (Keep reading if you are a curious about your soul’s intention). What is significant is that my AWARENESS of her INTENTION is growing! 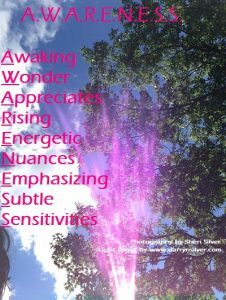 Is your awareness expanding? Of course it is! It’s just a matter of the degree and intensity that awareness expands? Experiences and emotions are the language of the Universe. 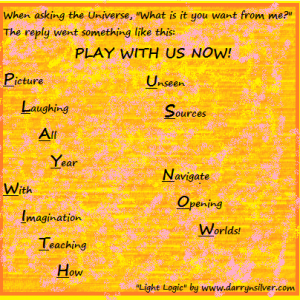 It’s how we communicate with our Souls/Universe. 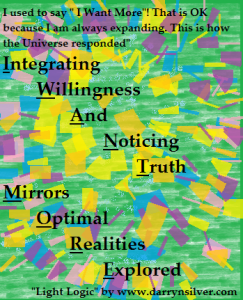 (Feel free to replace Souls/Universe with any word that resonates for you such as Essential Energy, Presence, Inner Being, Guides, Angels, Masters of Light, G-d or Infinite Intelligence). Every experience and emotion offers us clues as to what we are co-creating for ourselves and what we are willing to explore. Our emotions are letting us know what path we have activated. Each emotion and experience is a piece of the puzzle so it’s not about avoiding the less pleasurable feelings. It’s about honoring their messages, being curious about their origins and what information they are illuminating for us. 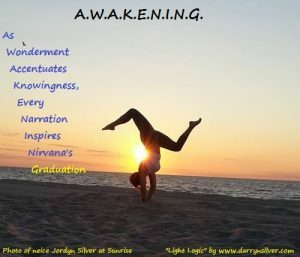 It’s about turning inward with open arms and embracing the shadow to allow a new dawn to be born. 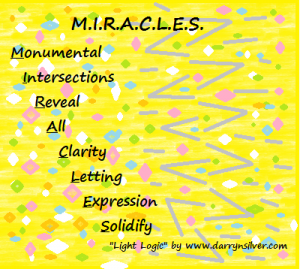 We all have a special soulful signature calling us to make manifest the LIGHT that enlivens us and share it. I have always been a person with a strong internal compass. I was groomed that way. I was taught that LOGICAL, emphatic directives were solid and reliable. Do this and this will happen! Do that and that will happen! The notion of JUST “BEING”, moving from my authentic center with organic ease or listening to my internal pulse was not a focus. Fortunately, I have a formidable soul (as do you) and she has never ceased signaling me. Nevertheless, the vast majority of the human population has yet to cultivate an ongoing relationship with our souls. Since most people do not viscerally see, hear, smell, taste or feel her/his energetic messages, it can be easy to doubt our soul’s presence. and discount her/his signaling. It’s not that the energetic life force that fuels us (soul) doesn’t exist, it just that the relationship has not been nurtured to the point that it’s credible from the mind’s perspective. 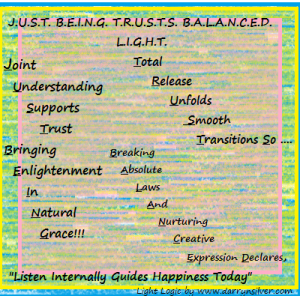 It’s a relationship wanting to be strengthened; therefore, our intuit nature is being beckoned to take center stage and sit forward. Most people benefit from embracing a “TRUSTING” posture which is ignited by following their HEART. That begins the conscious journey walking hand and hand with our souls which leads us by our passions, pleasures and PLAYFULNESS. 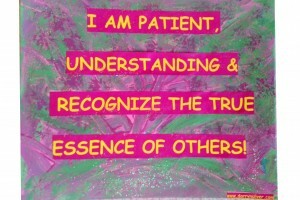 I have been asked (sometimes forced due my stubbornness) to trust many times and it is bubbling up once again. Upon graduating college, I notion of making money excited me so I did the logical thing and went to the Money Mecca of the world: Wall Street. Stayed there for 10 years and did well financially. 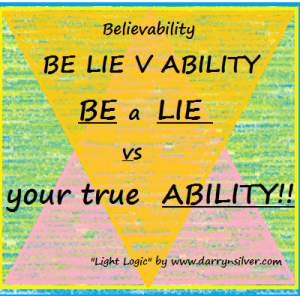 I held a strong belief that it was probable and it materialized. Wall Street was no longer my sweet spot. I felt anxious, depleted and wanted something else but had no frame of reference as to what was possible. A knock on the door from the Universe came in the form of a car accident. In this case, the car was metaphoric for a way in which I was directing or “not directing” my journey. That’s what cars do. They help us get from one destination to another. The message was I was not directing my life according to my Soul’s intent. I was a passenger, a bystander until a dream and other signs encouraged me to leave Wall St.
managerial workshops for a national health care company that was merging and I jumped at the opportunity. I was naïve at what this transition would take and that ignorance was BLISS because I believed it was possible and it was possible. I was feeling an itch. I meditated for 2 years on a concept. The concept was to provide abundance for people. To be more entrepreneurial but not completely on my own. 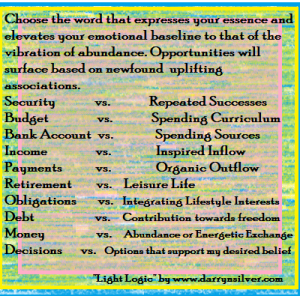 To offer educational workshops to other professionals integrating finance and principles of abundance. Voila at my husband’s grammar school reunion, the Universe shined. 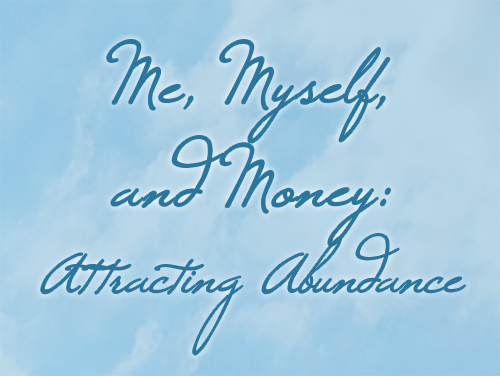 An opportunity surfaced to integrate my financial background with an aspect of HEALING. The notion of working with older adults around their finances, offering potential abundant possibilities while reducing their stress was very appealing. It opened me up to aspects of myself that I was unaware existed; however, the emphasis was on business sales. I never saw myself as a salesperson. I still do not. It was more about integrating heart and finances. I wholeheartedly believed it was probable and it was beyond my wildest dreams. That feeling for something more is percolating. There is a lot of unknown in this one. No clear direction yet. Can I sit with it? Be still and listen? Another layer wants to shed so a more organic rendition of myself might emerge. Can you relate? Now, I find my soul leading me down a path of remembrance. She is prodding me gently but consistently to enter into a different realm from which I am accustomed. She invites me to take space, be still, silent and LISTEN for what she desires. It is the antithesis of direction and doing. It is a time of dissolution and quite challenging for a “doer” to “not do”. After all, it does not make rational sense at all, does it? I could get the entire unconscious world to agree with me on that note. 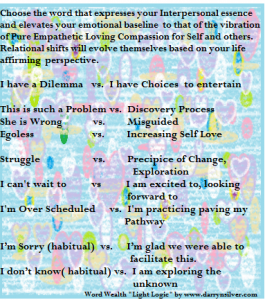 All of these shifts, although feeling fearful, resonated a deeper knowing for me. Each transition got better and fine-tuned me. to De-Liberately De-Sign my own De-Light! however, it does require physical activity to slow way down. I am being asked to soften deeply inside so that another layer might be revealed. “What kindergarten again? Haven’t I learned enough?” I declare. She patiently shares with me that it is through this vulnerable experience that I am understanding just how much sweetness and beauty I/we all hold inside. She informs me that we must all choose to know it for ourselves. It is our personal quest. She is here to be a support. I have been deeply steeped in intrigue and it naturally heightened around the turn of the year when the collective’s INTENTION & RESOLUTION was accentuated. It seems to be the time of year when the collective is focused on INTENTION, RESOLUTION and wiping the slate clean to begin anew. So I went to google, and looked up the word INTENTION. A thing aimed or planned. Pretty interesting isn’t it. Especially #3. Who would have thought that intention could be interpreted as the healing process of a wound? I was intrigued by that definition especially since it was outside the realm of my cognitive expectations. 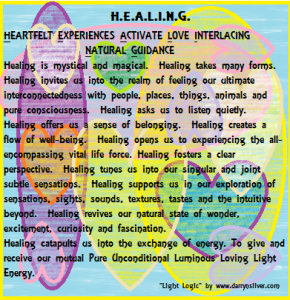 I wonder if people are consciously setting out to heal a wound when they set their intention. Maybe they just set out on a mission, a pursuit, an idea because of the glamour appeal and the real purpose, the healing PROCESS, is a byproduct of their pursuit. Yet the byproduct was really the “thing” wanting to be experienced, felt and healed in the first place. The by product was their soul’s intent. 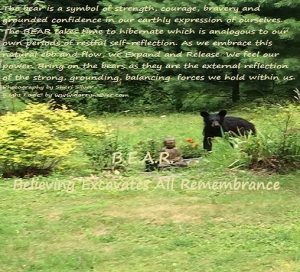 Is it a deeper level of remembrance wanting to emerge? 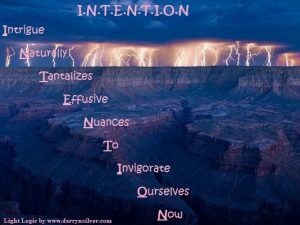 So, what is “INTENTION” for you? 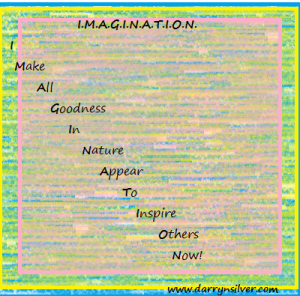 Do you believe it is a co-creation between you and your soul? If not, from where does it come? Consider reflecting on how you know what it is that you are aiming to create for this moment, hour, year or life? 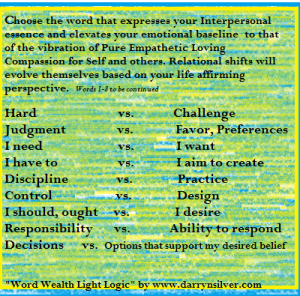 What nuances are guiding you? Is it actually a fact? How does it surface in your mind, emotions and body? Is a fact simply something that you are able to perceive with your five senses? 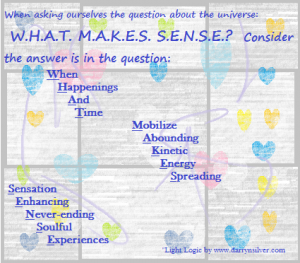 What about your sixth sense which is really your primary sense: INTUITION? Is that credible? Do you trust it? What do you believe? Do you believe it is coming from an expanded version of yourself (soul) and you interpret it through the sensations of your body? If it feels good, do you trust it and follow it? Is it exclusively one thing OR another? Is it the union of BOTH this AND that? Is it a focus on a plan? An aiming at a target? 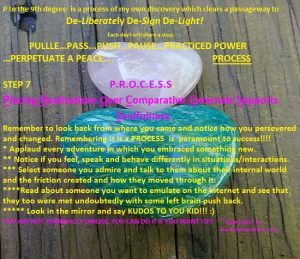 Is it a healing PROCESS of resolving things gone by yet remain front and center in our experience?? Questions, Inquiry and Curiosity offer us clues into the depths of our own mystery. -ethereal light of father sky’s illumination & darkened deep womb of creation that mother earth grounds into us. -succulent heat of our central sun & refreshing coolness of our luminescent moon. 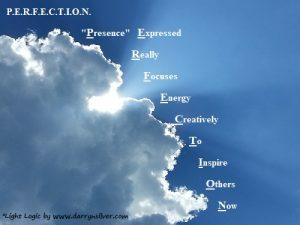 Is intention (defined as process of healing a wound) our personal and collective course traveled? Is it our unifying remembrance, our evolutionary destiny to embrace duality, accept polarization and witness the dissolution of these entities as we hold them with endearing tenderness? He is the container, the structure, the holder, the fortress and the constructor of space. He holds more of the attributes of our left brain. What wants to enter, what wants to be born in this silent, still, spacious vessel? At first she is quiet, subtle and unassuming. The vapors of her rapturous blue smoke slink through the cracks, filling the sanctuary. Her sensuous glide, her seething madness, her passionate pleasures give rise to unrest. 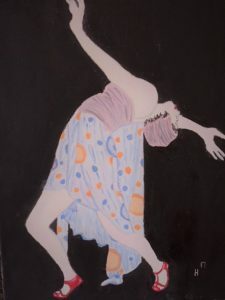 She sweeps spirit up through her loins opening her presence, offering her heart, dedicating her desire to encompass all of swirling sensuality. The next time you have a noticeable, pronounced feeling or experience that is less than pleasurable, STOP & be still. Ask the feeling as I if it was a separate entity what it might want you to know about yourself. Hold the feeling in your arms as if it was a small childlike version of yourself. Its safe to express! If the words unravel in a manner that is kindhearted, loving & illuminating, it is your soul speaking to you. If the words come in any way that is the absence of love i.e. 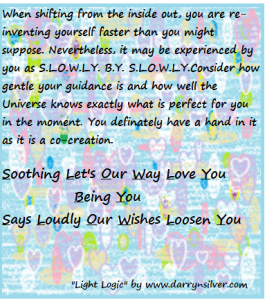 critical, dismissive, judgmental, condescending, or rationalizing voice, it is still a part of you that wants to surface for some tender loving care. It wants to be held and healed. This entry was posted in Blog on January 31, 2018 by darrynsilver. 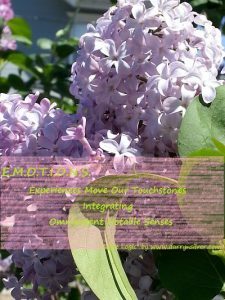 Join NYC based Cara Franchi, LCSW specializing in Somatic Experiencing & EMDR and Darryn Silver, LCSW Intuitive Inquiry & Soulful Stirrings Coach for an experiential afternoon of YOUR inner reality embracing ALL of YOU! I was in a downward facing dog position in yoga class a few years ago. For those of you who do not know what that is, your hands and feet are on the ground in a ^ shape and your buttocks is pretty much sticking straight up in the air. In a way, you could say they get addicted to it because of the adrenaline rush that is produced. I have a different perspective on this. I believe that people tend to (almost exclusively) move towards pleasure. It is just a matter of what we perceive in any given moment to be more pleasurable or more painful. Why does a battered woman stay with her abuser? An outsider’s perspective might deem it ridiculous, crazy, unimaginable and incomprehensible. Perhaps the idea of being out on her own is more terrifying (painful) than what she is accustomed to experiencing. It’s the familiar! Why do young men join up with gangs or terrorist groups? The desire for humans to have a sense of belonging and connection is primal and part of our basic survival needs verses the alternative of being disenfranchised and an outcast which threatens their very existence. These might seem like extreme examples but we are all faced with the same choices every day. 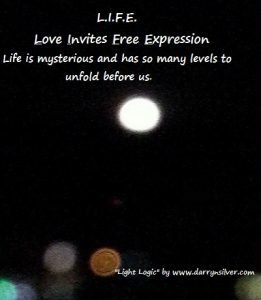 The more we understand and cherish our own vulnerabilities as gateways to freedom, opportunities to grow, connect with one another, & recognize we are all the same, the more we suspend our opinions thus stilling our mind. This space of stillness and silence within us opens us to a creative flow that brings forth the softening that the collective is wholeheartedly desiring. This is what much of the world’s violence, natural disasters and political inequities are calling forward and it starts with each and every one of us. Why do people blame, judge and condemn? It’s easier to believe that the problem lies outside of us. That perspective does not make us happy though. It simply justifies our position, quells our anxiety and pain temporarily. 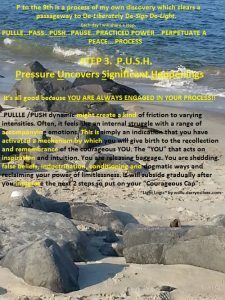 We repress old memories that are laden with powerful emotions, suppress undesirable thoughts that disguise our current emotions so as to feel better about ourselves but it is like a pressure cooker building, building & coming together with other pressure cookers. Then, woof an explosion ensues. We are each a part of the collective consciousness. We, the collective consciousness, created the vehicle of separation so that we might have our own ability to discern. Furthermore, it is so that we are able to claim dominion over our own inner reality and make our own choice of how we want to perceive the whole. Are we willing to go inside and make friends with the pain so we no longer cause the effect externally? 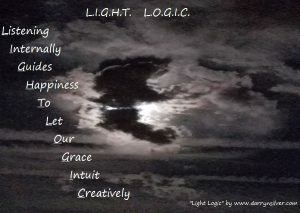 I have been wrestling with the question Do we believe that it is our birth right to be happy, joyous and free? Really believe it? On the surface, most of us succumb to the external conditioning to simply gain some semblance of safety and security. It’s uncomfortable to change. We have patterned ourselves and any deviation upsets the apple cart. For me, it is an ongoing practice to come to believe in our eternal nature. The portal is the magic in the moment. Each moment leads to the magic of the next moment and we stay present to explore the depths of our nature. It’s a practice with many layers. It’s a practice that deepens like an intricately weaved tapestry with infusions of color, textures and angular designs. Underneath it all, I believe we hold a space that honors our essence. It is a path to excavate that knowingness. I am simply a foot soldier turning earth angel on the path with everyone else. I have much to learn, and grow in the name of love through my exploration and discoveries. It’s not always pretty but always illuminating. 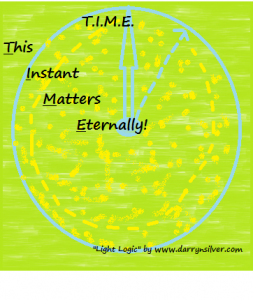 Often, I wish I could do it and get it done but that is simply my conditioning and would be deafening to our eternal ability to expand if the former was true. Do we acquiesce to the roles that fit our conditioning? Where is that on the spectrum of pleasure and pain for you? Do we do things because everybody else does? Do we stay in a job because we were taught that money reigns supreme? Where is that on the spectrum of pleasure and pain for you? We choose that job because our perception of change and potential financial insecurity is infinitely more painful than living our passion? For this moment, do we know what our passion is ? Do we quell our zest for life for reasons of practicality and logic? Do we find other ways to fill in the crevices, offer excuses to ourselves in service of pacifying our ego? Are we afraid our ego will make things spiral out of control by kicking, screaming, tantruming and making our life miserable if we do not succumb to its demands? It is simply like a two year old that wants to be embraced and feel deserving to declare its right for autonomy and independence. Do you believe that if you make a lot of money, you will be secure, safe, get ahead, and have a great life? Do we stay in a relationship because we do not know who we are otherwise? That our whole identity is wrapped up in the externals of our life? 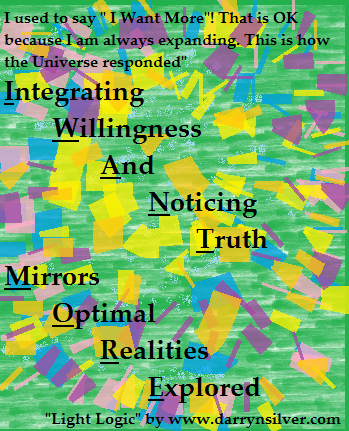 Do we disregard the messages that our bodies tell us with regard to health because we have been infiltrated and brainwashed by TV commercials and we have lost sight of our own intuitive intelligence by which we might access Universal Understanding that can support self-healing? 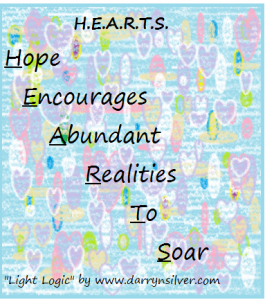 Do we follow what our head dictates or listen to the wisdom of our heart and bodies? Are we willing to go inside and make friends with the pain so we embrace the wholeness of ourselves which externalizes more Love & Compassion in our world? To step outside our comfort zone may be perceived as painful because we are standing face to face with the UNKNOWN, which includes infinite possibilities: utter destruction of how we have come to know things and giving birth to the creative power we hold within our human vessel. We are facing our internal demons and that’s all it is. “Going in” to accept ourselves in our wholeness. To keep the status quo is familiar, routine and patterned. 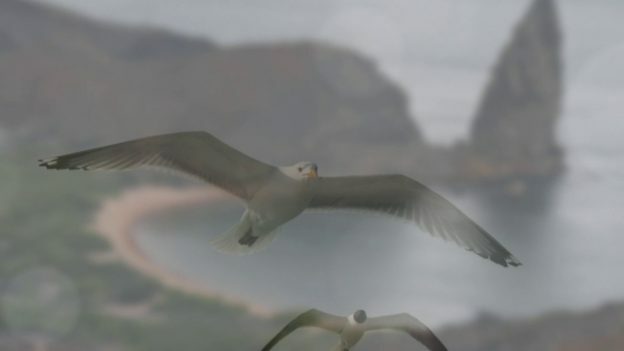 To fly, soar and face the essence of who we really are is truth. 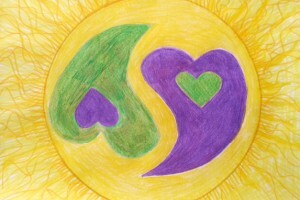 To recognize and remember the beauty, bliss and glorious ecstatic love, we want to be vulnerable. Ooooo for me, this can be a dirty word. At least in my world it has been an entity to avoid at all costs. We have spent our entire lives protecting ourselves for purposes of survival. Oh sure, we call it different things to make it more palatable. Doing the right thing, the expected thing, the societal thing, the logical thing that authority figures offer us accolades. A good daughter, son, sister, brother, wife, husband, worker, citizen, professional, philanthropist etc. Hey look at me, aren’t I a good person? 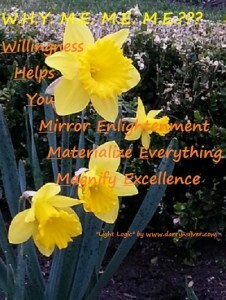 We look to the world to validate our internal experience. All the while the world is destroying itself and the savior is to allow our hearts to break open into a sea of compassion. What I am learning about vulnerability is that it is opening my heart. 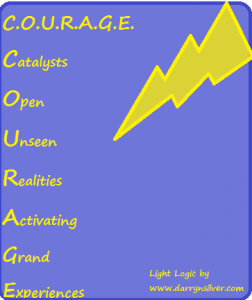 Then courage is not even a “thing” that is needed. It’s just there because we become comfortable in our own skin. 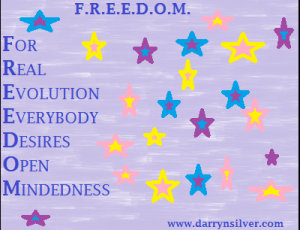 We no longer look to externals for validation and that sets us free. We speak, behave and take action from our hearts. 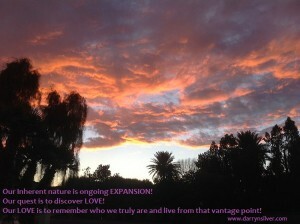 It’s an ongoing process: deeper, broader, more expansive and evolutionary. By each of us doing this, we act as a power of example for another to recognize their own authenticity. Sometimes I speak about consciousness subjects to an audience that I am not sure will be receptive. To express myself and what I stand for in the best way I can in this moment. If they like it, so be it. If they don’t like it, so be it! Might I have a melt down? Sure sometimes. I’m human. I have not “arrived”! It’s all good because the creative expression has been launched. SURVIVING AND THRIVING are two entirely different things. Releasing the sheets, layers and veils to awaken to our sensitive heart energy is our greatest gift to share with the Universe. Each one of us has been born into a physical body to declare our own eternal creative influence. Some challenges such as health are more socially acceptable and permit us to take a reprieve. Others are met with judgment and shame. This is because we have made the outside world our dictator. It’s time to live from the inside out. I have none of those outside influences beckoning me now; nevertheless, the beckoning continues. The hunger, the drive, the insatiable appetite to JUST BE. To learn, to grow to live inside the JUST BEING. Sounds like an oxymoron doesn’t it? Well, I am a product of this world and all of its striving and relentless pursuits also. I feel as though I move at a very slow pace…that I am a mere child on this path that wants to savior every morsel of this lifetime. If you chose to come into your human body, it is your sanctuary until it’s not. Do we follow what our head dictates or listen to the wisdom of our bodies? 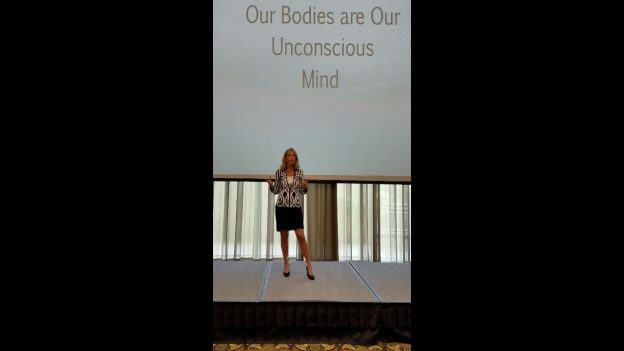 After all, your body is your unconscious mind!!! Write down two experiences: One that you would categorize as painful and one of pleasure. Recount a story that is uniquely pleasurable to you and wonder about what qualities exist within you that deems it pleasurable. Would another individual deem it pleasurable, unpleasurable or indifferent? 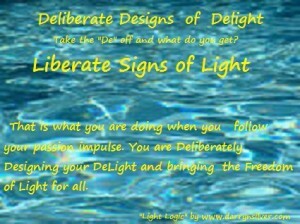 What makes it pleasurable to you. What is it about you that views it as especially pleasurable. 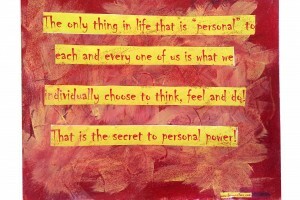 Own your insides. This entry was posted in Blog on October 25, 2017 by darrynsilver. 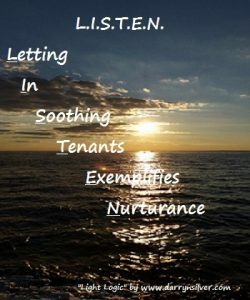 Listen and shift into a rest, renew and relaxing receptive mode! Nothing to do! 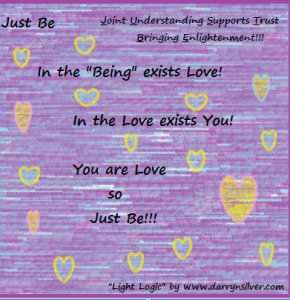 Just be! This entry was posted in Blog on August 23, 2017 by darrynsilver.